Normal Lens is the group lens which has a focal length that is about the diagonal of the image-recording format equivalent and is about 53 degrees. Normal Lens is a terminology, it is not a generalized phrase. In most cases in Digital Photography, the used angle is slightly smaller and is approximately in the range between 40 and 50 degrees. Lenses with a shorter focal length than the standard lenses are called wide-angle lens and lenses with longer focal length (angle is smaller) are called telephoto lenses. Before the mass distribution of the zoom lenses, SLRs usually sold together with a normal lens. Common standard lenses for small format almost always have openings beginning from 1:1.8 to 1:1.4, the media formats are of 1:2.8 to 1:1.9. Other focal lengths that are as bright (larger lenses required), are considerably more complex to build and more expensive. There are normal lens group for small format sensor with the top openings of 1:1.2 or 1:0.95 only available in the high price range. In the available low light photography they are therefore used frequently. In today’s conventional classification, fixed focal length lenses are normal lenses with the shortest focal length and no retro-focus construction is required. Shorter focal lengths require additional lenses for these cameras to create enough space behind the lens for the mirror, which increases the cost of design and manufacturing. In digital cameras, the pixel count corresponds to the diagonal length of the light-sensitive sensor surface. At the Four Thirds standard digital SLR cameras, 8mm is considered to be the normal focal length. 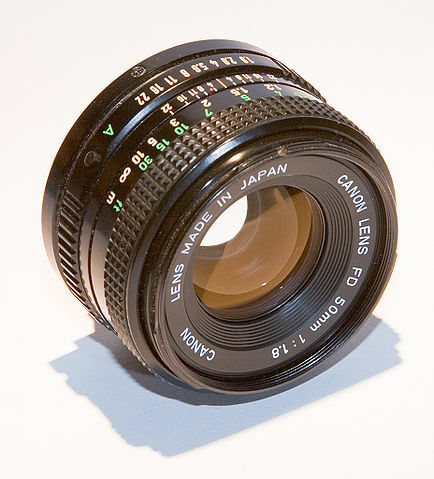 For APS-C format, the normal focal length is approximately 30 mm. This Article Has Been Shared 7027 Times! Hot Shoe refers to a clip like primary mechanical system on cameras to fit accessories like external flash units, rangefinder or spirit levels. APS-C Format Camera Sensor is the acronym of Advanced Photo System type-C. The size of APS-C Sensor is approximately equal to the film APS size negative. Cite this article as: Abhishek Ghosh, "Normal Lens in Digital Photography," in The Customize Windows, May 13, 2013, April 21, 2019, https://thecustomizewindows.com/2013/05/normal-lens-in-digital-photography/.